Publishers Weekly A probing and personal debut . . . that] builds a compelling case for Christians to welcome immigrants. As a young Christian, Sarah Quezada had a heart for social justice. She was also blissfully unaware of the real situations facing today's immigrants. Until she met someone new. . . who happened to be undocumented. 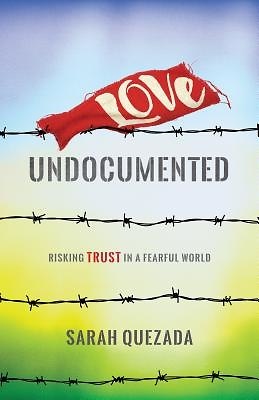 In Love Undocumented, Quezada takes readers on a journey deep into the world of the U.S. immigration system. Follow her as she walks alongside her new friend, meets with lawyers, stands at the U.S.-Mexico border, and visits immigrants in detention centers. With wisdom from Scripture, research, and these experiences, Quezada explores God's call to welcome the stranger and invites Christians to consider how to live faithfully in the world of closed doors and high fences.